Back by popular demand, the BOOKERVILLE CARNIVAL SALE is back at the Putrajaya International Book Fair 2017. 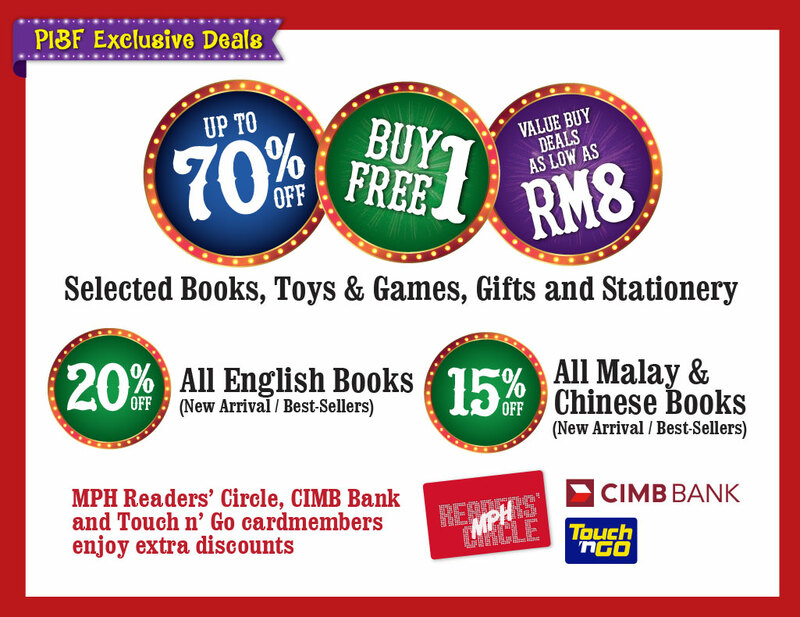 Enjoy savings UP TO 70%* OFF and DAILY DEALS from as low as RM8 on a massive collection of BOOKS, STATIONERY, TOYS, GIFTS, IT GADGETS and more! Snack on FREE* Popcorn and Cotton Candy, and be the first 200* to receive FREE* Goodie Bags everyday. 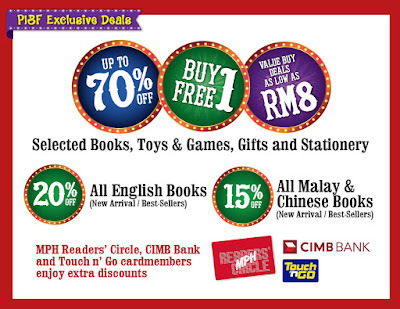 MPH Readers' Circle, CIMB Bank and Touch N' Go card members enjoy extra discounts! Also, forget about parking hassles and get a ride using GRAB to and/or from PICC. Simply enter Promo Code: GRABPIBF2017 to ENJOY RM8* OFF your trip. It's an event that is bound to delight the young and old! See you on 28 March - 2 April 2017 10am-9pm, at PICC.